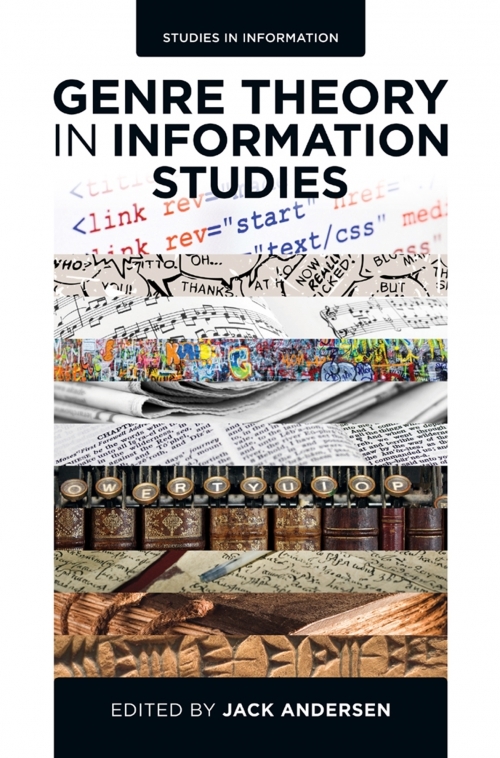 "Studies in Information" publishes monographs on critical issues in the information society. The book series is concerned with all aspects of information; its nature, politics, institutions, usages, and technologies, and it presents research from a wide range of disciplinary traditions. Previously published as Library and Information Science, it is a fully peer-reviewed and high impact outlet for research in the field of information. 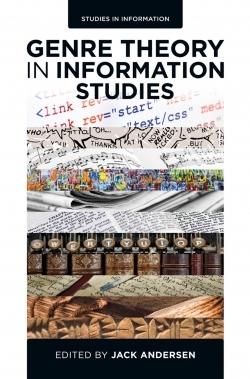 This new volume, edited by Jack Andersen, is the first to be published under the new series name Studies in Information. The book highlights the important role genre theory plays within information studies. It illustrates how modern genre studies inform and enrich the study of information, and conversely how the study of information makes its own independent contributions to the study of genre. Various original contributions scrutinize core aspects of information and knowledge organization, such as information systems and distributed authorship; personal information management; and records management in organizations, all through the lens of genre. What Genre Theory Does. Re-Describing Knowledge Organization — A Genre and Activity-Based View. Genres without Writers: Information Systems and Distributed Authorship. Genre and Typified Activities in Informing and Personal Information Management. The Role of Calendars in Constructing a Community of Historical Workers in the Public Records Office of Great Britain ca. 1850s–1950s. Organizational Records as Genres: An Analysis of the “Documentary Reality” of Organizations from the Perspectives of Diplomatics, Records Management, and Rhetorical Genre Studies. Genres of War: Informing a City. Utterance and Function in Genre Studies: A Literary Perspective. Copyright page. Genre Theory in Information Studies. Index. List of Contributors. Studies in Information. Genre Theory in Information Studies. Editorial Advisory Board. Final Summary: Genre Theory in Information Studies. Introduction.